This is one of my favorite artists! The unique nature of an artist can be considered art itself. What sets great artists apart may not be their talents but their circumstances. While we know much of our destinies are determined by the decisions we make, remnants of happenstance hover over many of the artists we know and love. No one understands this better thanConcetta Antico, who, in 2012, received news that would change her life and send her already successful art career into high gear. To Concetta, art and life have always been one in the same. Her love of art began at the age of seven, when she found herself fascinated by color. This was around the time she started painting. Even at a young age her peers recognized the Australian native’s creative talent. This entry was posted in "out of the box" art, Art Appreciation and tagged abstract, Art Appreciation, color, color theory on July 24, 2015 by segmation. Franz Marc (1880-1916) was a young man who spent much of his life at the crossroads of war and peace. Even though he would never return from the battlefields of World War I, a sense of peace echoed in his paintings. However, the serenity infused into his artwork did not come from the vibrant colors he used or the subject matter (mostly animals) he featured. His masterpieces had a place in the Expressionist movement because they revered the wisdom of artists who came before him and leveraged the collaboration of fellow artists from his era. But the first artist to influence the work of Franz Marc was his father, a landscape painter. To some, Franz Marc is one of the greatest animal painters of the 20th century. However, the serenity infused into his artwork did not come from the vibrant colors he used or the subject matter (mostly animals) he featured. His masterpieces had a place in the Expressionist movement because they revered the wisdom of artists who came before him and leveraged the collaboration of fellow artists from his era. When looking at Marc’s work and reading his biographies, it becomes clear that he valued the wisdom of fellow artists. However, nothing proves this more than the “Der Blaue Reiter” almanac, which Franz Marc spearheaded in 1911. The title, which translates to “The Blue Rider,” represented a group of artists who rejected Neue Künstlervereinigung München, which was a strict form of art principles set forth by Wassily Kandinsky in 1909. The Blue Rider artists exhibited under this name until 1914. 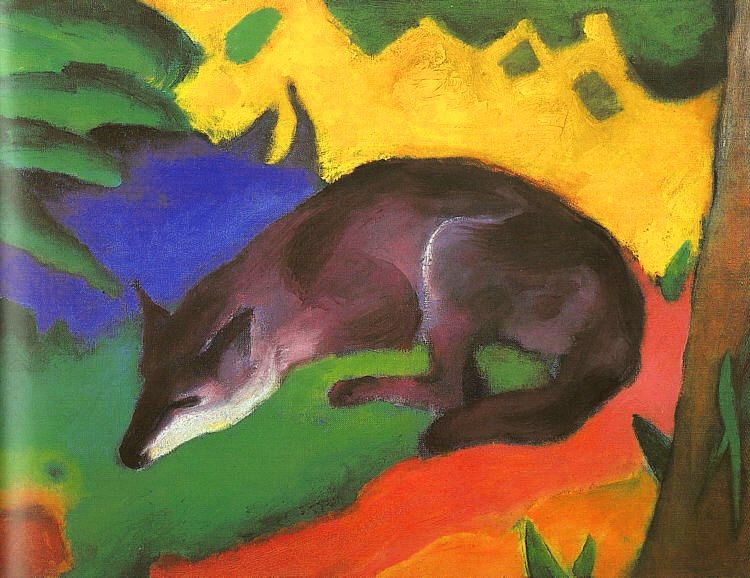 In addition to color, Franz Marc was known for painting animals using distinct angles. He frequently featured animals in their natural habitats. Portraying members of the animal kingdom with bright color and sharp angles allowed Marc to enhance the emotion of the being and its setting. The concept of war pressed heavily on Franz Marc’s soul. He was distraught by the realities of World War I but still volunteered to fight. In the end, he never returned home. 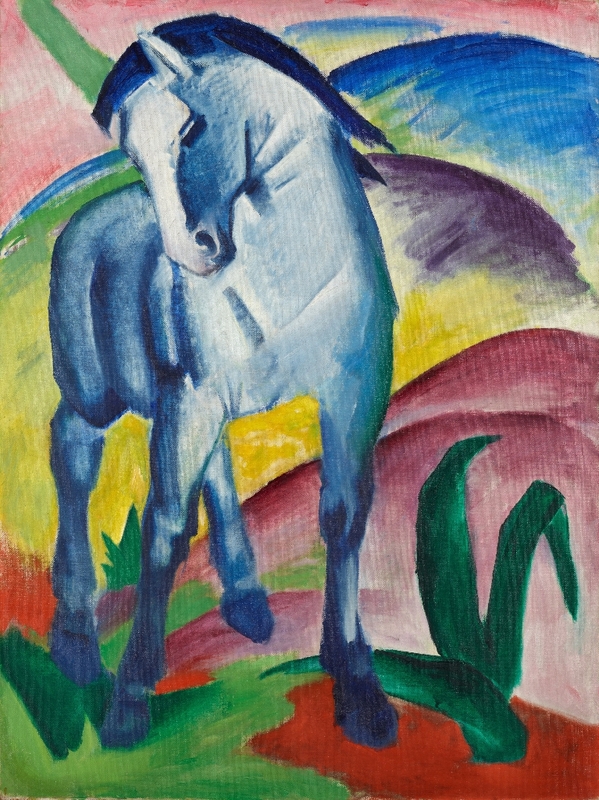 Franz Marc died at the young age of 36. Despite his short life and abbreviated career, Marc influenced the world of art and advanced the Expressionist art movement. To this day his art is appreciated for its uplifting, emotional value. Even though it was painted in the midst of a dark era, the work of Franz Marc continues to master the art of tranquility. To some, Franz Marc is one of the greatest animal painters of the 20th century. However, this post is meant to recognize his artist style and some major pieces. For those who want to read more of Marc ‘s story, visit this link: http://www.segmation.com/products_pc_patternset_contents.asp?set=FZM . Also, Segmation is proud to offer 31 digital Marc patterns. By downloading these paint by numbers masterpieces, you can emulate one of the most fascinating artists who ever lived. Enjoy the 31 Franz Marc – German Expressionist Painter. Segmation has for you and continue to learn and celebrate the life of a great artist. This entry was posted in Animal painter, German Expressionism and tagged abstract, animal painter, Art, August Macke, Blue rider, Expressionist, German Artists, German Expressionism, Horses, iPhone art, Paint by Number, Segmation, sketches on February 2, 2015 by segmation. Still’s early pieces (from the 1930’s), which depicted farmhands during the Great Depression, give a nod to Alberta, Canada and Washington State, the locations he was raised in. In the following decade or so, Still’s work began to take on a more abstract shape. 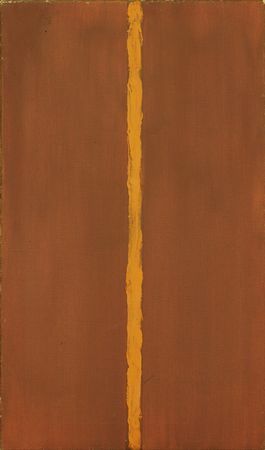 It would be later in his career that Clyfford Still would help father the movement of abstract expressionism. The young artist spent some time in California, then moved to New York City, a place where other would-be abstract artists, such as Jackson Pollack, Mark Rothko, and Willem de Kooning, lived. While Still shared some commonalities with these artists, his artwork was decidedly unique and strayed from geometric shapes. People had begun to take notice of Still around 1951, but by then he had chosen to separate himself from the commercial art world. Still was certainly not forsaking his art by doing this, but rather devoting himself wholly to it by distancing himself from distractions. This noble decision was probably one that prevented Clyfford Still from becoming widely well known. After relocating to Maryland in 1961, Still consistently produced painted artwork on canvases and pastel drawings. He did all of this independently of the commercial sector of the world of art. While in the past Still has been somewhat obscure, the opening of The Clyfford Still museum in Denver, CO, might change all of that. The museum shows only a portion of Still’s pieces of art, which are “considered the most intact body of work of any major artist.” Even more of Still’s works are being uncovered as curators discover pieces from his farmhouse. As this man’s collections are viewed by more and more people, it is likely that recognition of him and his contributions to art will increase. Is fame necessary to validate an artist’s brilliance? Clyfford Still’s life proved that the answer to this question is no. Still was truly devoted to art and obviously cared little for the accolades of man. But while Clyfford Still didn’t receive all the praise he deserved on this earth, his life is beginning to speak in increasing volumes to a new generation of artists. This entry was posted in Absract Expressionists, abstract, Art, art movement, Museum, unknown artists and tagged abstract, Art, artist, clyfford still, expressionism, fame, Father of Extract, museum, Paint by Number, painter, Segmation on August 15, 2012 by segmation. This is why color-field painting, with its abstract merging of vivid colors, is responsible for some beautiful works of art. In this post we will look at how color-field painting evokes emotions and has the ability to change an environment. By now we know how color impacts art and also stirs emotion in people. Recent posts discuss color therapy, known as chromotherapy and the psychology of color, offering insight into how color can impact an individual. As artists, we know the emotional impact art can have on us. Vivid colors can stir emotions and hold an observers heart once they pass. Sometimes, color makes beautiful what was not beautiful before. This is the case of color-field painting; color, shape, composition, proportion, balance, style, and scale change a blank canvas into a brilliant work of art. This style of art is very abstract and those who are best known for its development are considered Abstract Expressionists. Color-field painting emerged in New York in the late 1940’s and early 1950’s. 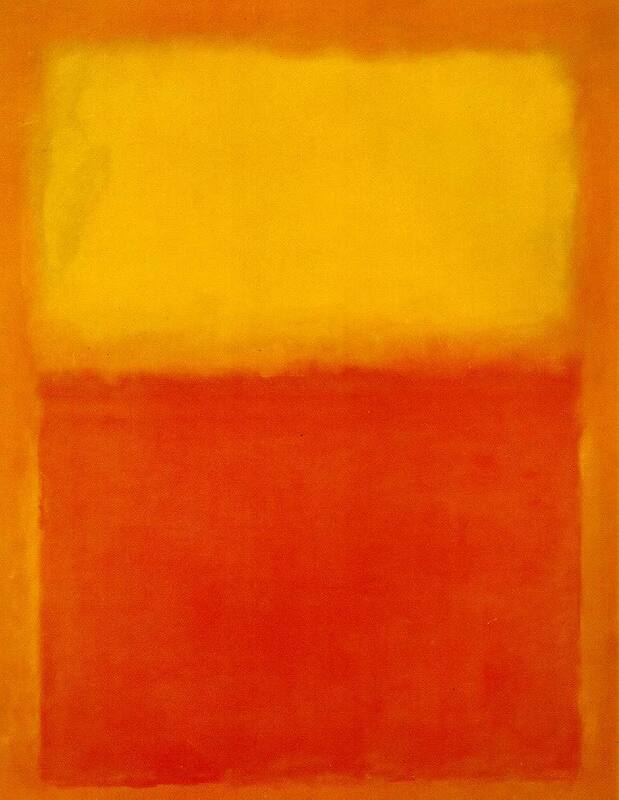 It was a type of art inspired by European modernism and made popular by artists like Mark Rothko and Barnett Newman. What sets color-field painting apart from other types of abstract art is the artist’s regard for paint. With the main focus being color, shape, composition, proportion, balance, style, and scale, there is less emphasis on gesture, brushstrokes and consistent actions that create form and process. In fact, the entire work of art is created by the artist who determines what elements he or she will add to convey a sense of place, atmosphere, or environment. In other words, what makes color-field painting beautiful, is its subjectivity. Like most art, the beauty of color-field painting is in the eye of the beholder. These colorful pieces are nice accents for decoration and fun to paint too! But don’t let the look of simplicity fool you. This style is not easy to perfect and contrary to how it appears, cannot be replicated by a 6 year old! Have you splashed your art palette with color today? Try it and see how color changes what you see as beautiful. This entry was posted in 3-D, Absract Expressionists, color-field painting, European, French, Mark Rothko, Rothko and tagged abstract, Art, Art Appreciation, Art Blog, artist, artists, artwork, Blog, colorful, colors, Mark Rothko, Paint, paint by number online, paint by numbers online, painting, paintings, Palette, psychology, psychology of color, Rothko, Segmation, The Art of Color, United States, WordPress, work on July 1, 2012 by segmation. Abstract art has a unique beauty that is often overlooked or forgotten due to the unrealistic nature of it. Before the mid-nineteenth Century most Western art was quite literal. For example, if an artist wanted to represent a woman in a painting, he or she painted a woman. In non-abstract art, one of the emphases was and is making the subject of the art clear to the viewer. This is not the case with abstract art. The lack of definition that abstract art expresses sometimes can be confusing or even repulsive to people. The inability to understand something can be undesirable to the human mind. This is one reason why some people do not like abstract art – because it is rarely easy to understand. But just because something cannot be understood, does that mean it cannot be beautiful? Many people would answer no to this question. Abstract art, also known as “nonfigurative art,” “nonrepresentational art,” and “nonobjective art,” has a beauty all its own, and that beauty lies in its unreality. Aristotle himself said, “The aim of art is to represent not the outward appearance of things, but their inward significance.” Does abstract art not do this very thing? Is it not created to signify meaning rather than reflect appearances? 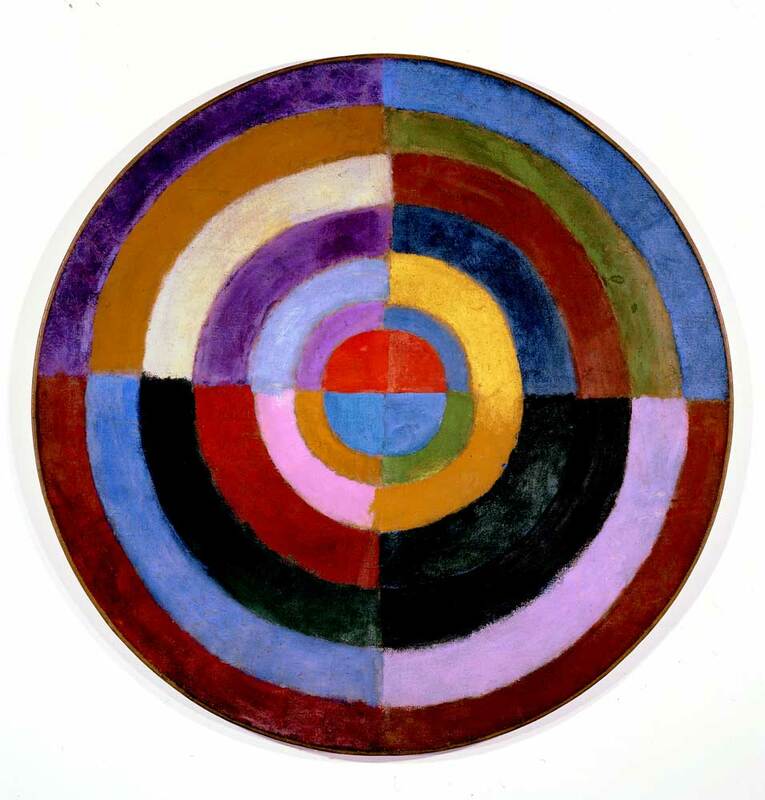 La Premier Disque (1912-1913), created by Robert Delaunay, is an example of abstract art as well as Lyrical Abstraction. Painting La Premier Disque was quite a risk for Delaunay, especially considering the time in which it was created. The painting’s lack of a specific subject, break from classical perspective, and unique and bold colors create an expressive and stunning piece of abstract artwork. Can you appreciate the warmth and loveliness of La Premier Disque? Many people do not care for abstract art. To that our reply is, “To each his own.” Still, there is something to be said for those who can forget the confines of perspective and deeply appreciate the beauty of the undefined. Releasing the desire for logical answers and viewing abstract art more with the heart than the eyes allows its true beauty to be experienced fully. This entry was posted in abstract, Art, Color, paint by number, Segmation and tagged abstract, abstract art, Art, beauty, beauty abstract, beauty abstract art, disque, fuelyourcreativity.com, la premier, la premier disque, Paint, people, premier, premier disque, robert delaunay, Segmation, visual-art on June 28, 2012 by segmation. Beloved New York artist, Helen Frankenthaler, recently passed away at the age of 89. 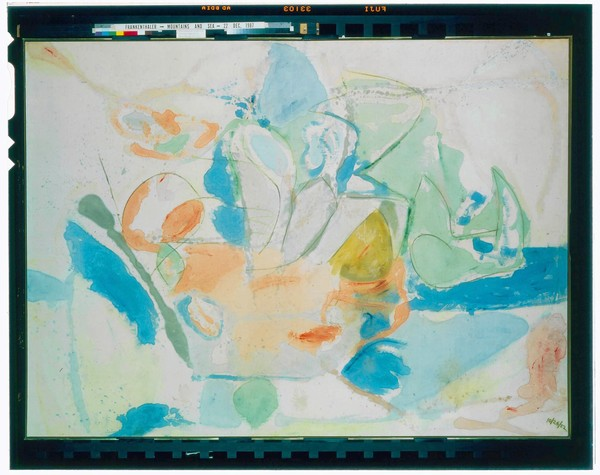 This post is a tribute to Helen Frankenthaler; to a life full of beauty and creativity. Jackson Pollock’s “drip- painting” method was the inspiration for Frankenthaler’s style. She is known for being a little more deliberate that Pollock with her pouring style. “One of her most well known paintings is “Mountains and Sea.” This painting demonstrates the similarities between soak staining and watercolor. Both styles share a certain lightness and pliancy. 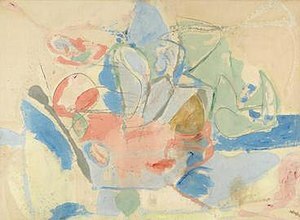 Frankenthaler’s style of abstract expressionism worked to propel the world of art in new and interesting directions. The 1950’s and 1960’s Color Field Movement was largely influenced by this stain technique. Frankenthaler is also known for her graceful public presence. For the most part, she was able to avoid the limelight. However, when the situation arose she proved competent and capable in expressing herself. While serving as a presidential appointee to the National Council on the Arts, Frankenthaler had the opportunity to advise the National Endowment for the Arts. She had strong beliefs about the relationship between government and art. She felt that the government should be given no opportunity to interfere with art or employ censorship. As a presidential appointee, she worried about the National Endowment for the Arts and their grant giving process. It was important to Frankenthaler that the NEA not give grants based on their collective likes or dislikes of individuals or styles. She feared that government grants promoted censorship and government interference. Frankenthaler confidently spoke about her opinions and as a result was able to help shape ideas and practices where art and government were concerned. She will continue to be remembered as a phenomenal abstract painter, a trailblazer of abstract Expressionism, and a creative woman who lived a beautiful life. This entry was posted in abstract, Artist, colors, Paint, paint by number, Segmation and tagged abstract, Abstract expressionism, Art, arts, Color Field, frankenthaler, government, helen, Helen Frankenthaler, Jackson Pollock, known, New York, painting, style on March 19, 2012 by segmation.